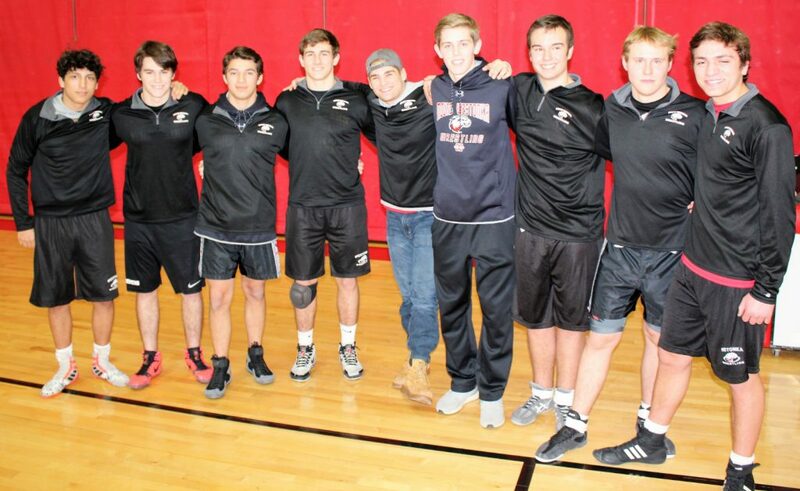 Seniors Felipe Mahmoud (foreign exchange student), Brock Munsterteiger, Ben Courtney-Bernal, Ben Schmalz, Kris Kurtz, Shane Stevenson, Jack Dioszeghy, Ryan Lezer and Sam Kerr were honored at Senior Night on Jan. 31. 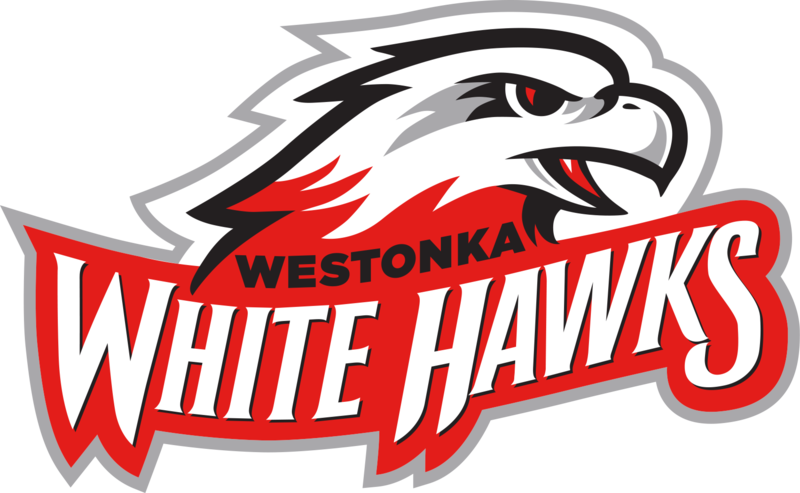 The Mound Westonka White Hawks wrestling squad hosted Orono and Glencoe-Silver Lake in a triangular meet at Mound Westonka High School on Jan. 31. 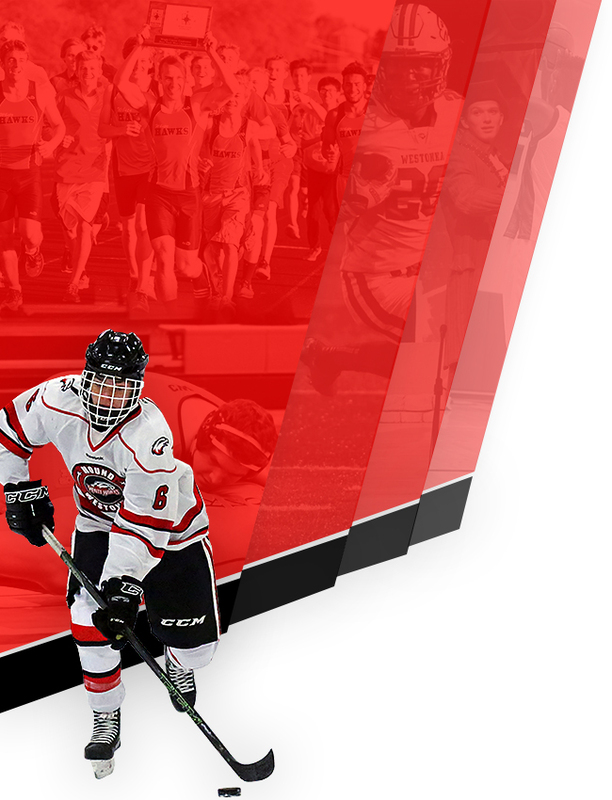 In the first round, the White Hawks took on the Orono Spartans in a non-conference matchup. In a seesaw battle, the Spartans came out on top, 40-28. “We lost a few close matches and had some chances for big wins, but we just couldn’t close the deal,” said co-head coach Todd Munsterteiger. In the spotlight match of the evening, the White Hawks faced conference rival Glencoe-Silver Lake and also honored the seniors beforehand. “We have had some great duals with GSL in the past, so we were excited to have our seniors wrestle in this atmosphere in their last home dual of their career,” said assistant coach Eric Rodelius. The Panthers proved to be stingy in the lower weights, building a 24-3 lead heading into the 152 weight class. However, the White Hawks took over from there, getting wins from seniors Felipe Mahmoud, Ryan Lezer, Ben Schmalz and Jack Dioszeghy, as well as from sophomore Lance Munsterteiger and junior Ryan Fitz. Senior Brock Munsterteiger also held his opponent to a decision, helping the White Hawks to a 37-27 comeback victory. “It was a great way for an awesome group of seniors to wrestle their last spotlight match,” said co-head coach Josten Coleman. The White Hawks continued that momentum into their quad at Champlin Park on Feb. 1, as they went 3-0. The White Hawks defeated Hopkins (44-27), Champlin Park (49-27), and Tartan (56-15) to end their dual meet season at 12-9 overall. 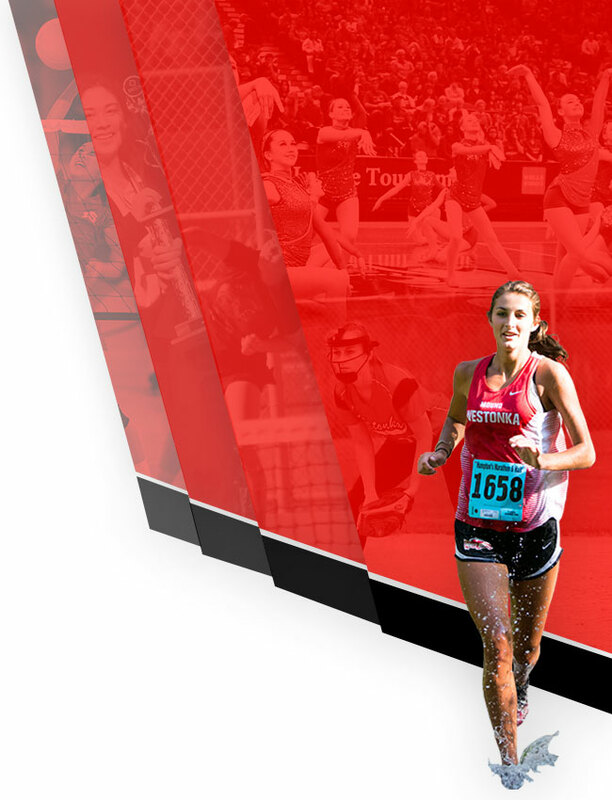 The White Hawks will cap off the regular season on Friday, Feb. 8, when they host the Leopold-Haglund Memorial individual tourney. First-round action begins at 4 p.m. Freshman Jacob Maas went 1-2 at the Minnesota Ninth Grade and Under League State Tournament on Feb. 2 at Champlin Park High School. After a thrilling 10-8 overtime victory in the first round, Mass lost 15-8 in the quarterfinals and 5-3 in the wrestlebacks and was eliminated. “Jacob had a great showing at state and has a lot be proud of,” said freshman coach John Wardlow.